Special incentives for buyer - call/text 540-585-1245 or email Shawn@1245team.com NateJohnson@1245team.com to check on buyer incentives and schedule your private showing! To see more photos of the property click here. Charming Colonial on a wooded corner lot is an oasis within the city! Relax & enjoy the view from the Master Bedroom balcony. 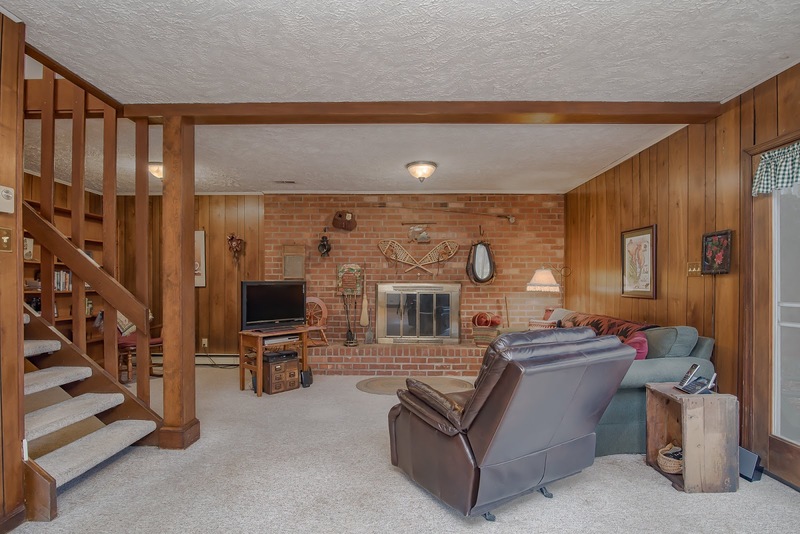 Cozy up by the fireplace in the Family Room for the cooler months. While the outdoor living space is awesome for the warmer months. 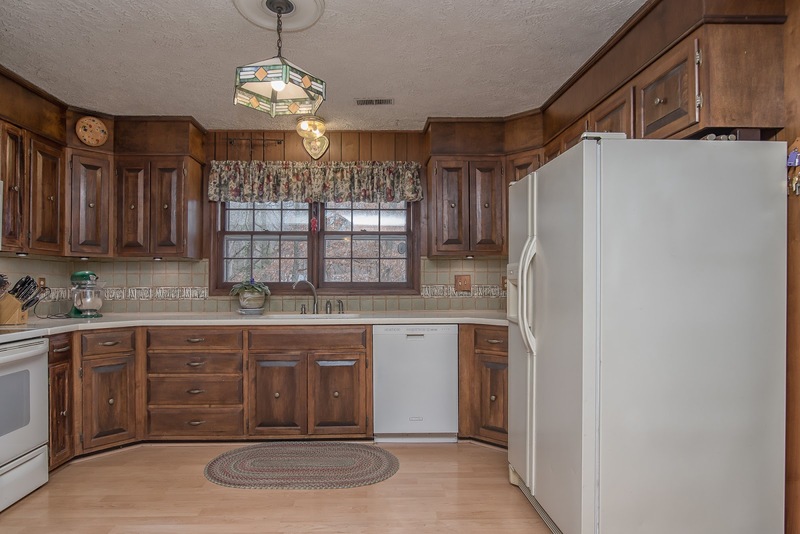 It boasts a nice-sized yard, hot tub, deck, garden, & more! Recent updates include new roof, gutters, & HVAC. So much to love, don't miss out! Need to sell your home? Contact us for special seller incentives and buy this home with us and we will sell yours for free! Contact Shawn@1245team.com for more details. Fredericksburg is one of the finest small towns in the country! The people are very friendly and come from all sorts of backgrounds. There is a wonderful sense of community and a ton of activities and festivals going on. The city boasts a great art and music scene, there are awesome eateries, and we have a beautiful river running through the heart of town. We also have some terrific parks, in particular Motts Run Reservoir. The Heritage Trail is one of the best things the city ever did. Except for a few steamy weeks in the summer, you cannot beat the four seasons here. The Altoona subdivision was a great place to raise our kids. The neighbors were very friendly and on our little area along Seneca Terrace we have made some very dear, lifelong friends. We've been through a lot together over the years and now our kids have all grown and gone. New families with children are moving in and the cycle continues! We have always enjoyed the trees in Altoona - you feel like you are in the woods. Our kids spent countless hours playing in North Hazel Run at the end of Altoona and our yard boasted a treehouse once upon a time. After taking that down we built a deluxe chicken coop which is attractive and functional! We are close to everything here. It's also a great place to walk and it's not overly lit-up at night. We love to go to Sperryville in the fall and get apples and eat at the Thornton River Grille or head to Culpeper for breakfast at the Frost Diner. Hiking Old Rag is a fall tradition and I love to paddle my kayak on the tidal Rappahannock or at Aquia Landing, or Accokeek Creek near Crow's Nest - so many great places! 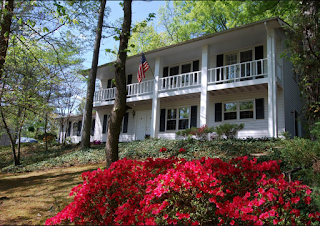 The Northern Neck is paradise with Westmoreland Berry Farm, Westmoreland State Park (great campgrounds and hiking), Stratford Hall, and Washington's Birthplace. We have many favorite restaurants nearby too. Eileen's is great for lunch, Castiglia's is also a favorite. For special occasions we may go to La Petite Auberge. Hyperion Espresso and Agora are great coffee shops, and even the Wegman's Seafood bar is a great place to catch a delicious dinner! There are a ton of delightful places to eat downtown! When we first viewed our home the owners had a fire going and the cozy family room drew us in from the start! We knew the good-sized yard would be great for our two young boys. And the house had a nice street appeal. The back deck and garden are wonderful for eating dinner in warmer weather and entertaining. We've had many parties out there! 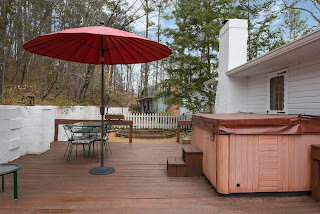 The hot tub is a wonderful place to soak up the night sky or read a book! We love the master bedroom and bath as they are full of light and very roomy and we really enjoy sitting on the balcony off the master bedroom during a thunderstorm. 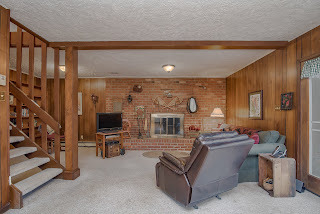 The family room is very cozy and the fireplace puts out some good heat! Since living here we have put on a new roof and gutters, a new HVAC, and new lights in various locations. We've updated the master bedroom and bath, the guest bath, the downstairs bath, and guest room. We tiled the small entrance from the back deck, built a beautiful chicken coop, and sealed the driveway. In 2010 we tiled the front porch which was the best thing we did for our home. 12:45 Team licensed in and serving Virginia, Maryland & DC Real Estate. Nationally ranked top real estate team.